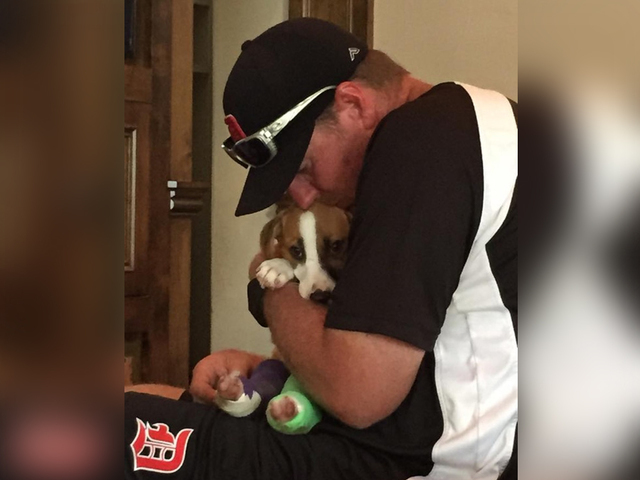 To the volunteers at Suncoast Animal League, Roy Halladay wasn't known for his skills on the baseball field, he was simply a foster dad to dogs in need. Halladay was also a skilled pilot and flew rescue missions to nearby states to save sick dogs at a moment's notice. “He would land, we get the dogs off the plane, he’d get the plane taken care of and then he’d jump in his car and run to baseball practice for his kids,” Chaboudy said. Chaboudy says Halladay rescued hundreds of dogs in need. “He was quite a guy. You would never know he was a Cy Young Award winner. He didn’t talk about that stuff. No-hitters, or perfect games or anything like that,” Chaboudy said. Chaboudy remembers one photo he says embodies the type of person Halladay was. "A 6 foot 6 Roy walking down the driveway and behind him he is pulling a little red wagon that had nine, six, or seven-week-old puppies in it that he was taking out in the yard to play with. And, that’s the picture I will always have in my head of Roy,” Chaboudy said. The National Transportation Safety Board is investigating the crash off the Gulf coast Tuesday afternoon. In May, there was a crash of an A5 in California that killed both people on board. The NTSB ruled pilot error as the cause.